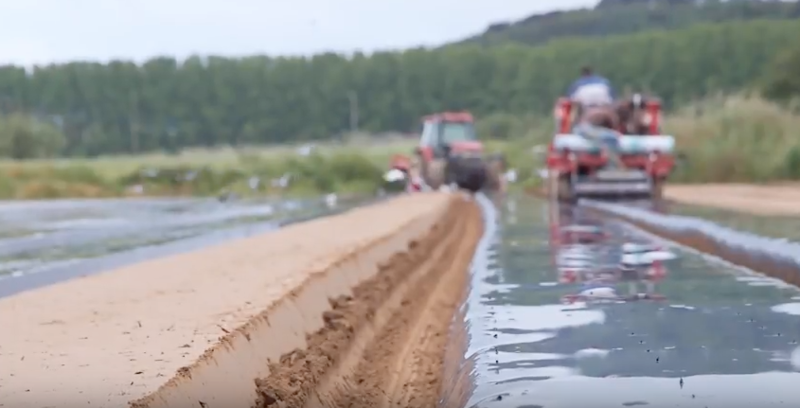 How much plastic mulch film is used in Spain? How much does it cost to remove and dispose of it? Specifically, what are the negatives in using traditional plastic mulch and how can these negatives be resolved? University of Lleida Prof. Lluis Martin answers these questions. Prof. Martin explains that many problems associated with plastic mulch films can be solved by using biodegradable mulch films. The risk of plastic accumulation in soil with the inherent negative effects on water retention; the difficulties and cost in recycling dirty mulch film can be removed by using biodegradable mulch films. At the end of the season, a biodegradable mulch film is simply and safely incorporated into the soil.